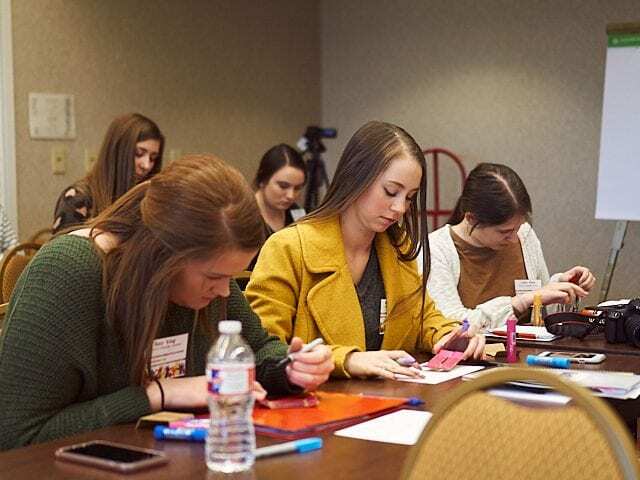 Last week, over 90 educators from a dozen Arkansas colleges, universities and schools attended the University of Arkansas’ eighth annual ARTful Teaching Conference on Petit Jean Mountain. 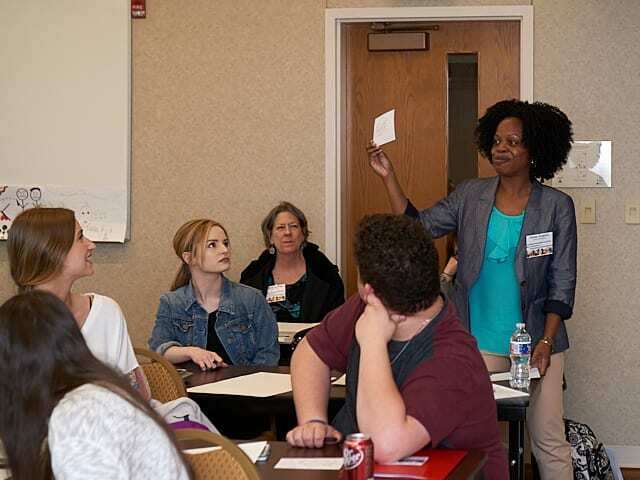 The ARTful Teaching Conference pulls together professors and pre-service teachers for two days of workshops and presentations on arts integration — the practice of teaching across classroom subject in tandem with the arts. The event, held at the Winthrop Rockefeller Institute, was organized by the Center for Children and Youth in the College of Education and Health Professions – which recently received the 2019 Governor’s Arts Award in arts in education — and the Brown Chair in English Literacy in the J. William Fulbright College of Arts and Sciences. This year’s conference theme was “Student Empowerment Through the Arts” and featured presenters Stephen Goss, assistant professor at Kennesaw State University in Georgia, and Rae Oviatt, a Ph.D student at Michigan State University. Goss shared methods for raising student voice in the classroom and community using guerilla art and alternative forms of publication. Oviatt shared how “audio advocacy” can give students a multimodal tool for social justice. Thanks to additional support from the Department of Curriculum and Instruction’s outreach committee at the U of A, the conference was able to sponsor ten in-service teachers, and a high school principal, from around Arkansas to attend the conference. CIED department head Cheryl Murphy has made it a priority to serve teachers and students across the state and this is just one such initiative. 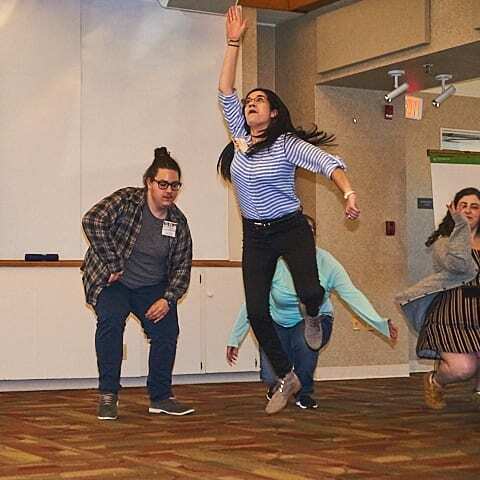 Hung Pham, the main conference organizer and director for the Center for Children and Youth, said, “This year’s ARTful Teaching Conference was such a delight. It is always special to see artists, educators, and advocates from all corners of the state come together to participate in shared learning. I think the theme of student empowerment really struck a chord with our attendees and made the topic of arts integration especially meaningful. 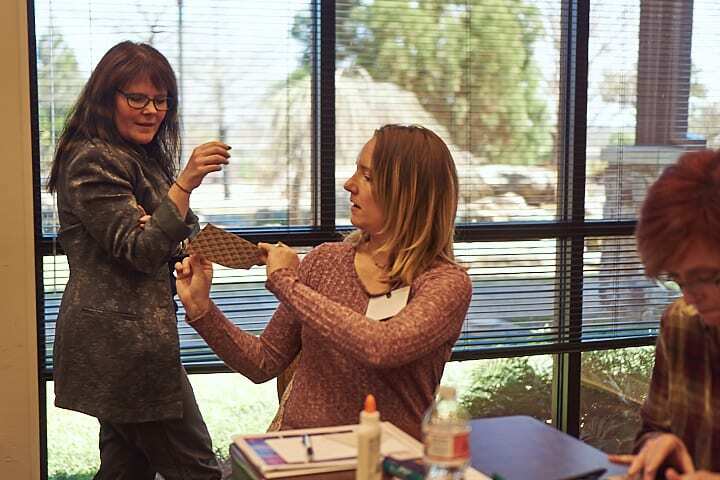 Area teachers expressed their appreciation for a conference that gives them practical ideas for how to integrate arts into their lesson plans. “The ARTful teaching conference was the push I needed to finish the school year strong. Arts integration is a tremendous way for all students to access knowledge and display their leaning. By creating space for students to be unconventionally creative in the classroom, we allow their voices to be heard throughout their school and their community,” said Lauren Boatright, a secondary English teacher at Joe T. Robinson High School in Little Rock. Courtney Cochran, the Cedarville High School principal, said she believes the work that the Center for Children and Youth is carrying out to empower educators across Arkansas through arts integration will have a more profound impact on students than any other education initiative. 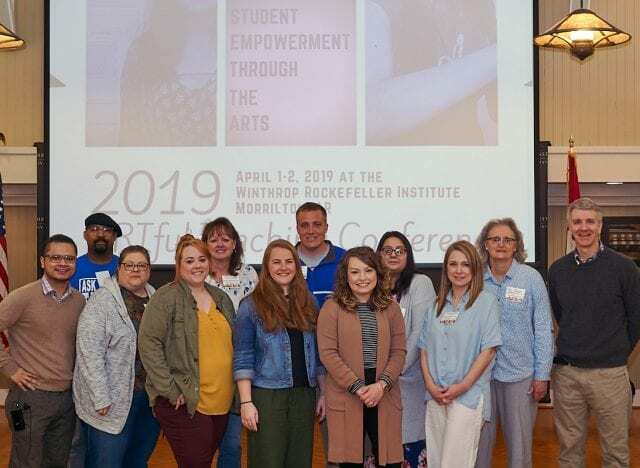 “After two years attending the Artful Teaching Conference, I am more convinced than ever that arts integration is the key to breaking the barriers that have historically plagued education in Arkansas,” she added. Multiple educators said they left the conference feeling inspired, motivated and ready to share their new ideas with students. “As a future teacher, this conference was the most encouraging and inspiring professional development I have been a part of. Music has always been a passion of mine and that I know now will serve as a wonderful tool for my students’ learning,” said Annie Rogers, a pre-service teacher in elementary education who’s studying at the University of the Ozarks. Sharla Felkins, an Instructional Specialist at Arkansas State University, said the conference is always extremely useful. “I love going to the ARTful Teaching Conference to rediscover what I love the most about myself as a teacher and that is being creative and artful in my craft. This year I discovered new mediums in art and new connections in the community of education. This conference is a wonderful opportunity to grow in many directions,” she said.